Ban civilian drones? 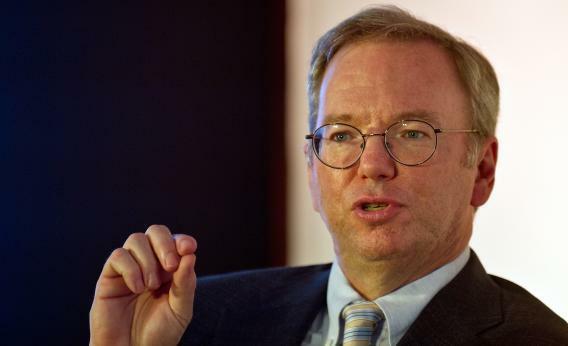 Google Chief Eric Schmidt cites privacy, security risks. Google CEO Eric Schmidt knows what’s best for us. Yes, driverless planes should be banned immediately, says the guy whose company is pouring millions into driverless cars. In fact, it seems Schmidt wouldn’t mind if we outlawed non-driverless cars while we’re at it. As he explained to AllThingD last fall, “It’s really an error that we’re allowed to drive the car.” Really, the whole world would be better off if we just banned every activity that Google can’t do for us. You know, for the sake of our safety and privacy. *Correction, Monday, April 15, 2:10 p.m.: This article originally misidentified Eric Schmidt as Google’s CEO. He is the company’s former CEO and current executive chairman.